It's been a while since I've done a proper Linux game review. The reasons being, we now have Steam, so there's less of a distinction between Windows and Linux. That division is now blurred, and we're past the free-only, indie-only games of yore. Good. That, however, does not mean you can't be having fun for free. SuperTuxKart is one such title. 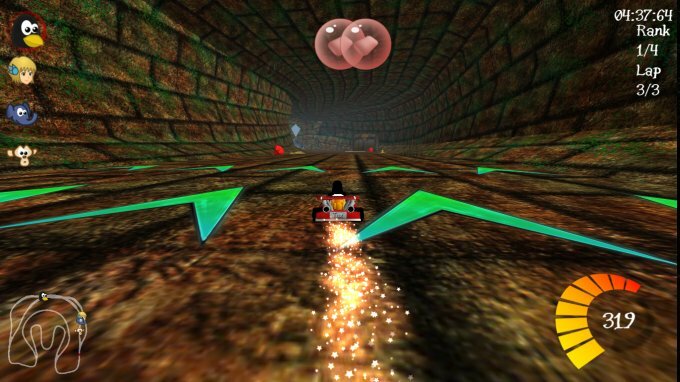 It's nothing more than a point-and-shoot racer, arcade all the way, with you taking helm in one of the many funnily shaped vehicles and racing down some crazy tracks. Then, it's about taking on some opponents, in-game traps and perks, and gradually unlocking new levels as you make progress in the existing set. But let us explore in more depth. Launch the game, name your character, choose an avatar. Select the game difficulty level, and then choose a map. Very straightforward. And then, it gets really neat. 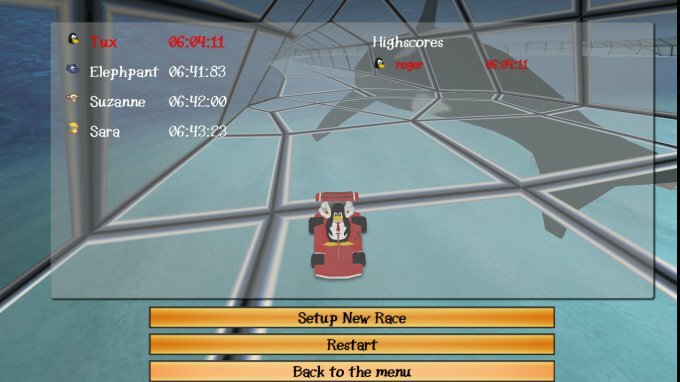 You race your foes round the map, usually for 3-4 laps. To make things interesting, the maps come with nasty surprises, including banana and candy splatter speed-retardation traps, so you might have do dodge and weave a little. Your hard labor is offset by collecting Nitro packages, which give you extra speed boost, using speed ramps, as well as collecting packages that transform into weapons, which you can then use to fend off your rivals. For example, you can use the fly swatter to flatten them, forcing them to lose speed, or knock them out with bowling bowls. There is quite a variety of implements you can use to gain advantage. Then, you also should avoid falling off the edge on some of the maps, which will make you lose precious time, and not get hit by rolling bales of hay. 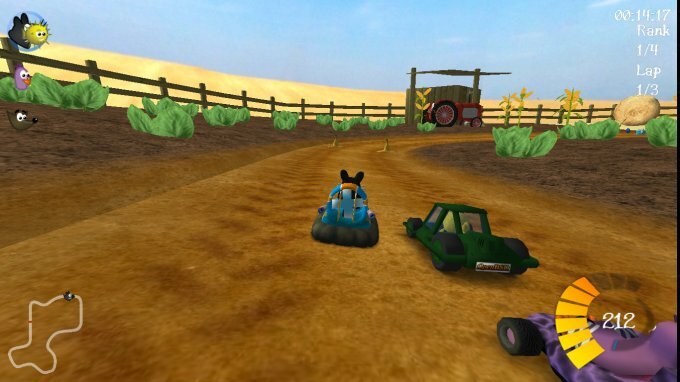 Most tracks also feature alternate routes, which might be longer or more twisted but also come with extra rewards, like big Nitro cans or other spoils. If you play on the Novice level, overtaking the rivals is quite easy, and if you floor it, then you will most likely win. The physics element is quite minimal, but there's a special kind of pleasure in just driving fast in a straight line. More advanced levels are trickier but not undoable, and it usually comes down to how many nasty tricks your foes will try before bowing down to your superior driving skills. If this isn't enough of a challenge, you can try special single-player modes, like follow the leader, time limit, and Easter Egg hunt, or you can try your luck in a multiplayer session. I haven't tried that one yet, but I presume it will be everything I could have hoped for, and then some, maybe. Don't forget add-on characters. 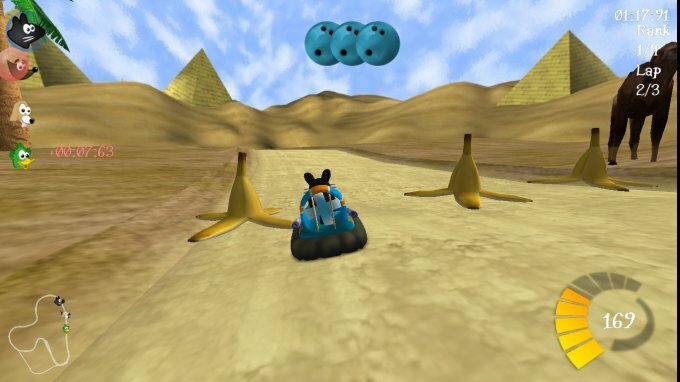 SuperTuxKart is a no-brainer arcade. Don't look for elaborate stories, intricate plot, cut scenes, or stunning graphics. You get a very simple interface, but then it will run fine on hamsters and flax oil if needs be. You also have a somewhat annoying music if you care for that kind of thing, but for me, it was distracting, and I had it turned off. Other than that, it's a stellar little game to pass your time. Honestly, I decided to try SuperTuxKart because I had a bit of free time while working on fixing a wonky hard disk, waiting for the filesystem recovery to complete. I fired up this game just to shave a few slow minutes off the clock, but I probably spent a couple of solid hours racing around. Sure, it does not compare on any real scale with any one racing simulator, and that's not the point. 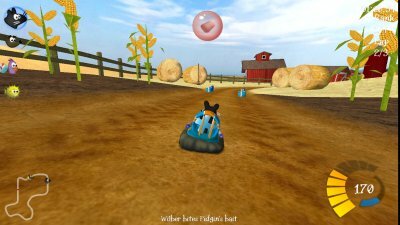 SuperTuxKart is a game anyone can enjoy, kids, adults or else, and it brings about a fresh dose of care-free brain dump. There are dozens of variations of this formula, and this very game engine too, so you may be perfectly happy with one of those. SuperTuxKart isn't necessarily better or prettier. But again, that's not the point. It's all about uncomplicated fun, and it doesn't get any simpler than this. If you're looking for a game that will not shock you, bleed your graphics card, or bore with interludes, a game that does not require ninja reflexes or 300GB of hard disk space, a game that offers an innocent escape from boredom, work routine, or just the end-of-the-day mind overload, then this is the right title for you. 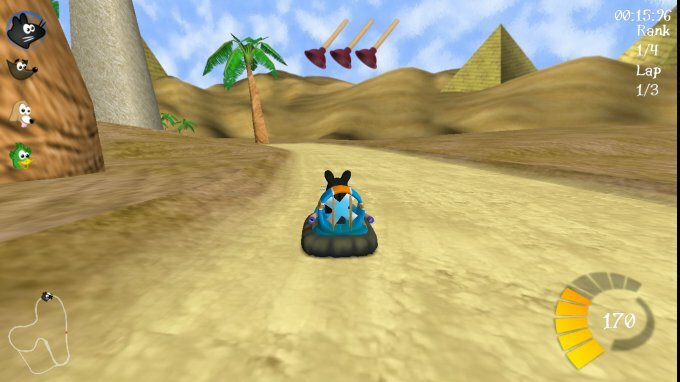 You just can't go wrong with SuperTuxKart. It's that kind of game.